Ever since June 2013 when I ran the DRTE Santa Barbara 100 in my Hoka Stinson, I've wanted a shoe that sits closer to the ground but still maintains the cushy properties of a beefy Hoka. 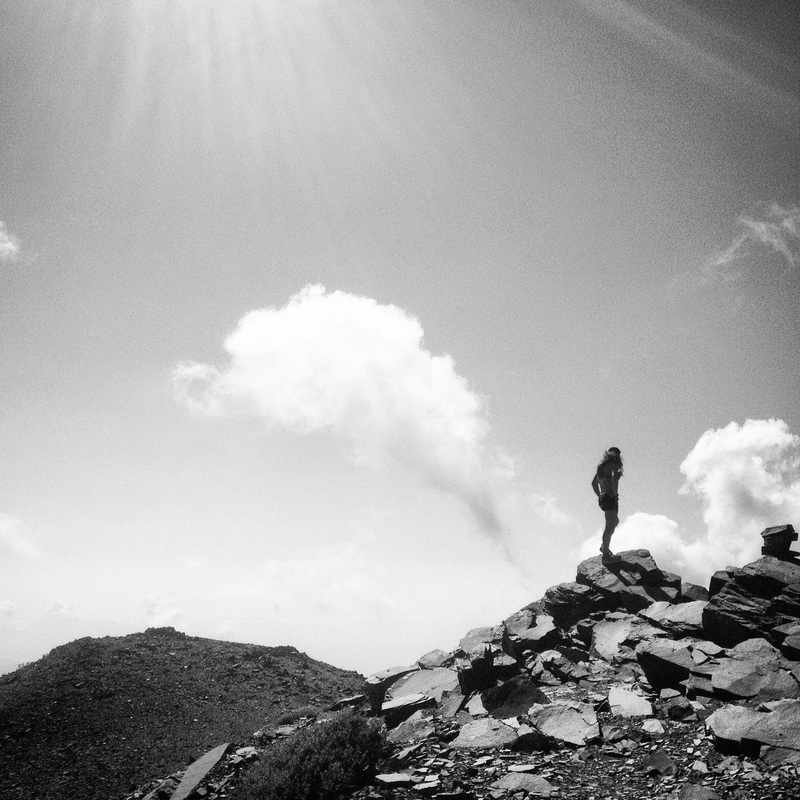 While the Stinson's responded reasonably well on trails, the height often left me feeling unconfident in my footing, resulting in a slower, more tedious descent on technical sections. Enter, the Hoka Rapa Nui 2 Trail: a lightweight, low-drop Hoka, providing plush cushion without sacrificing responsiveness. I've only put ~30 miles since I got them on Saturday, but those 30 miles have been a pleasure. One of my biggest complaints with the Stinson was the heel; it felt sloppy and allowed the shoe to move laterally on my foot, which resulted in some nasty blisters on the outside of my heels. Compared to the Stinson, the heel cup on the Rapa Nui 2 fits a tad narrower, securing my foot in place without feeling uncomfortable. You'll find that the upper material is almost identical to that of the Stinson and Tarmac and even includes speed laces already laced on the shoes. The narrow heel transitions to a slightly wider midfoot but tapers off into a narrow forefoot, which became uncomfortable after a while. I found that I had to loosen the laces considerably for my foot to not feel cramped. On my first sockless run, I did get a blister from where the upper creased on top of my fourth toe. I think the stiffness will work itself out over time. One of my favorite features about Hokas is the full contact sole, which provides inherent stability without the addition of medial posting. With the exception of super technical trails, I've felt really confident while climbing and bombing hills in these. 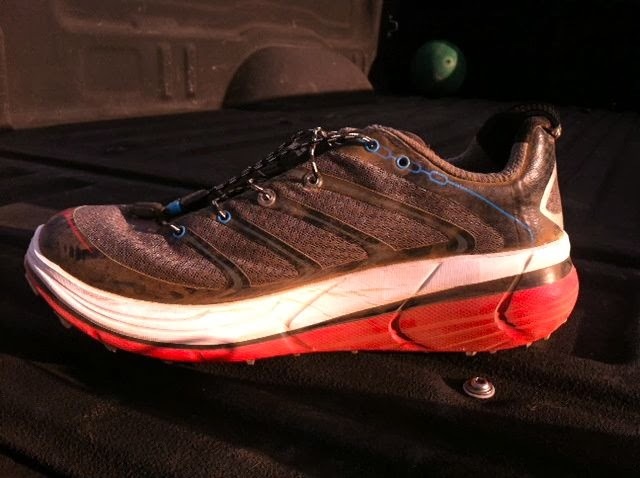 The lugs are deep enough to bite into the trail and are spread wide enough to shed mud, and the forefront is definitely more flexible than the other Hokas I've tried. Surprisingly, though, I've felt a couple of sharp rocks through all of the foam in the forefoot, so I do wish it had a rock plate, even if only a thin one. 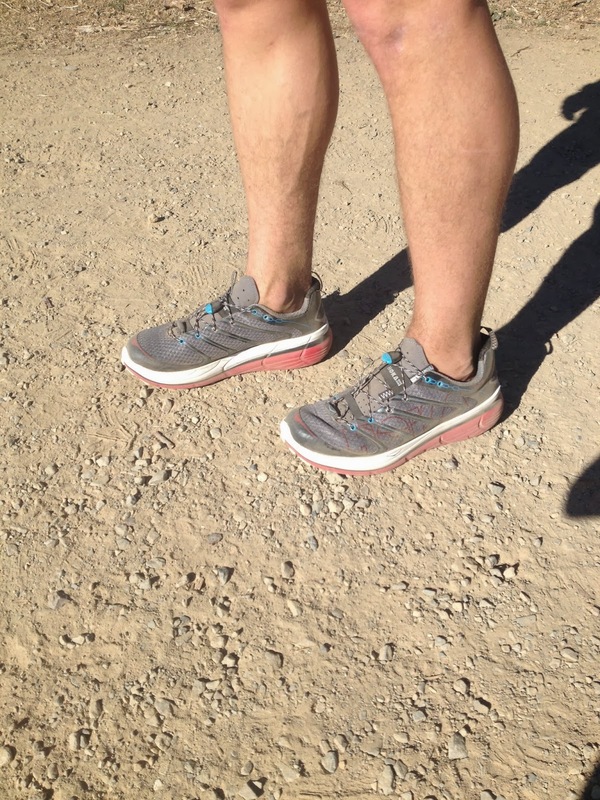 I'm glad that Hoka released a lower profile trail shoe that feels fast yet still provides fluffy cushioning. I'll definitely be using it for some of my slower long runs, but I'm very interested to see how it does on race day. I have a night marathon coming up in the Marin headlands which may be the ideal place to put it to the test. They'll probably feel even better after I've logged ~100 miles in them, so check back for an update!